It was the flood that ensured that Ntonya Sande’s first year as a teenager would also be the first year of her married life. Up to the moment the water swept away her parents’ field in Kachaso in the Nsanje district of Malawi, they had been scraping a living. Afterwards they were reduced to scavenging for bits of firewood to sell. So when a young man came to their door and asked for the 13-year old’s hand in marriage, the couple didn’t think about it for too long, lest he look elsewhere. Ntonya begged them to change their minds. She was too young, she pleaded. She didn’t want to leave. But it was to no avail. Her parents sat her down and spelled it out for her: the weather had changed and taken everything from them. There was not enough food to go around. They couldn’t afford another mouth at the table. Everyone has their own idea of what climate change looks like. For some, it’s the walrus struggling to find space on melting ice floes on Blue Planet II. For others, it’s an apocalyptic vision of cities disappearing beneath the waves. But for more and more girls across Africa, the most palpable manifestation of climate change is the baby in their arms as they sit watching their friends walk to school. The Brides of the Sun reporting project, funded by the European Journalism Centre, set out to try to assess the scale of what many experts are warning is a real and growing crisis: the emergence of a generation of child brides as a direct result of a changing climate. And time and again, in villages from the south of Malawi to the east coast of Mozambique, the child brides and their parents told an increasingly familiar story. In recent years they had noticed the temperatures rising, the rains becoming less predictable and coming later and sometimes flooding where there had not been flooding before. Families that would once have been able to afford to feed and educate several children reported that they now faced an impossible situation. None of the villages had any way of recording the changes scientifically, or indeed felt any urge to do so. All they knew was that the weather had changed and that where they used to be able to pay for their girls to go through school now they couldn’t. And the only solution was for one or more daughters to get married. Sometimes it was the parents who made the decision. For the good of the rest of the family, a daughter had to be sacrificed. She would be taken out of school and found a husband, one less mouth to feed. Sometimes it was the girl herself who made the decision and forced it upon her parents. Unhappy, hungry, she hoped that a husband might be the answer. Carlina Nortino (main image, first left) sits with her husband, Horacio, in the dry sand that is all that is left of the river that once flowed past the village of Nataka in the Larde district of Nampula province, on the east coast of Mozambique. From the ground, there is nothing to see of the river. 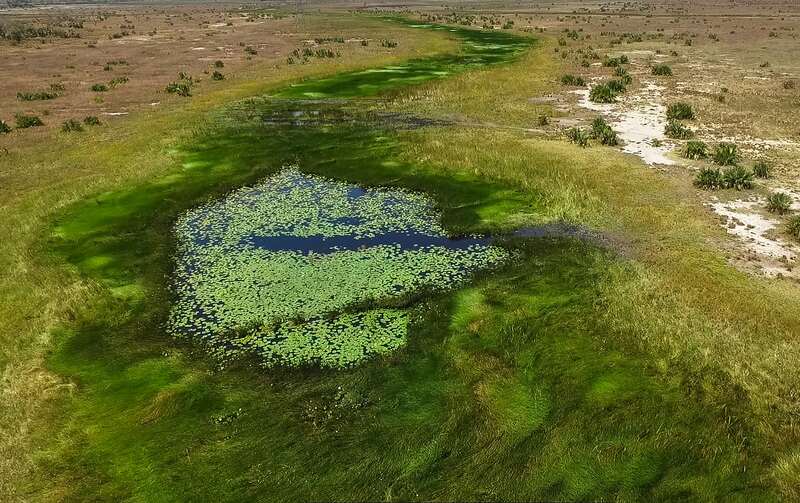 But a drone camera sent up to hover above reveals the ghost of the river, a darker line of green growth winding its way across the plain. Carlina is 15, Horacio 16. They married when she was 13, two years after the river disappeared, she says. Her family used to harvest as many as 20 50kg bags of cassava. Today it is down to one or two bags. She blames the lack of rain. She give birth to their first child, a boy, earlier this year. There were problems from the start. The family could not afford to go to a hospital with an incubator and the child died. 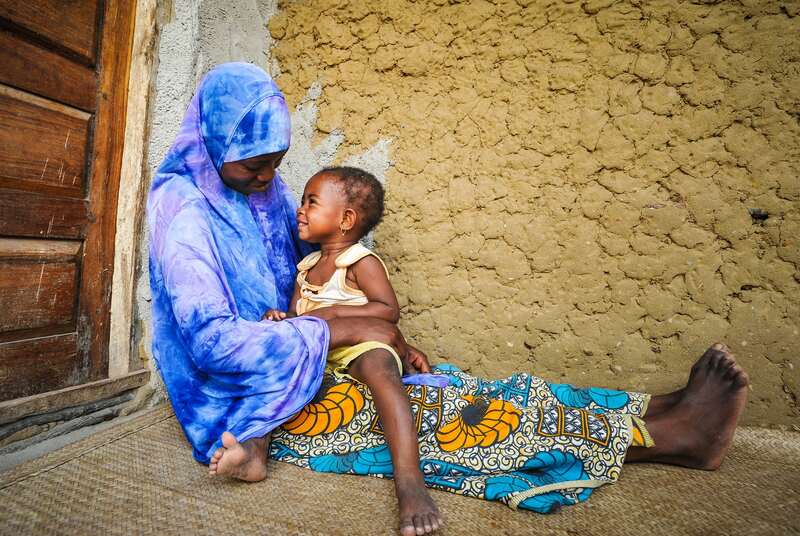 “I am sure that if my father and my husband weren’t that poor, my son would be alive,” she says. In 2015 the United Nations Population Fund estimated that 13.5 million children would marry under the age of 18 in that year alone – 37,000 child marriages every day – including 4.4 million married before they were 15. Across the whole of Africa, Unicef warned in 2015 that the total number of child brides could more than double to 310 million by 2050 if current trends continue. There are many reasons for children marrying young. In some societies, it is regarded as simply practical; when children reach puberty, sexual behaviour starts to carry with it the risk of pregnancy. Elsewhere, poverty is the driver: when parents cannot afford to feed several children, it tends to be the girls who have to go. The new factor is climate change, says Mac Bain Mkandawire, executive director of Youth Net and Counselling, which campaigns for the rights of women and children from its base in Zomba, Malawi. “We do not have detailed figures, but I would say 30% to 40% of child marriages in Malawi are due to the floods and droughts caused by climate change,” he says. There are no detailed figures, he explains, because no one has previously thought to connect the two issues and to ask the right questions. The published figures may underestimate the scale of the problem because many marriages are informal affairs, not officially recorded. Often they are simply an agreement between two families, or if there are no parents then between the boy and the girl themselves. Sometimes a small dowry is paid by the husband or his family. That’s how it was for Filomena Antonio. She was 15 when 21-year-old Momande Churute approached her father, Antonio, and offered him 2,000 Mozambican meticals (£25) to marry his daughter. Antonio Momade Jamal is 50. He has lived in Moma in Nampula province, all his life. He started fishing in 1985 when it was still a profitable business. Back then, buyers used to come from the city of Nampula to compete for the catch. Then the weather started to change. He thought Filomena too young to marry but he felt he had little choice and when Momande offered to support her to stay in school, he agreed. He says he is not the only one. Filomena sits next to him, listening. She appears to have accepted her fate as long as it means she can go off to study in the city. She wants to be a nurse. Mozambique is one of the world’s poorest countries, with almost 70% of its 28 million people living below the poverty line. It is particularly vulnerable to climate change: the Netherlands Commission for Environmental Assessmentwarns that “climate-related hazards such as droughts, floods and cyclones are occurring with increasing frequency”. The legal age of marriage is 18 (16 with parental consent) but still Mozambique has one of the highest rates of child marriage in the world, with nearly one in two girls married by the age of 18 and one in seven by 15. The highest rates of child marriage are found in the northern provinces, including Nampula, which also has the highest number of adolescent pregnancies. 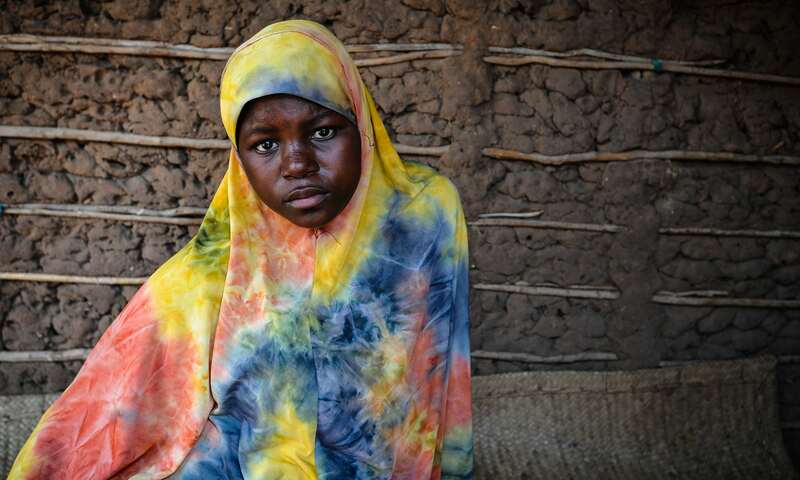 Fatima Mussa is 16, and nine months pregnant. She hadn’t really wanted to get married. On the other hand, her father could no longer afford to keep her. She married 18-year-old Priorino Antonio last year when she was 15 after he approached her father in the village of Nataka, in Nampula province, and offered him 2,000 meticals. There was no ceremony. 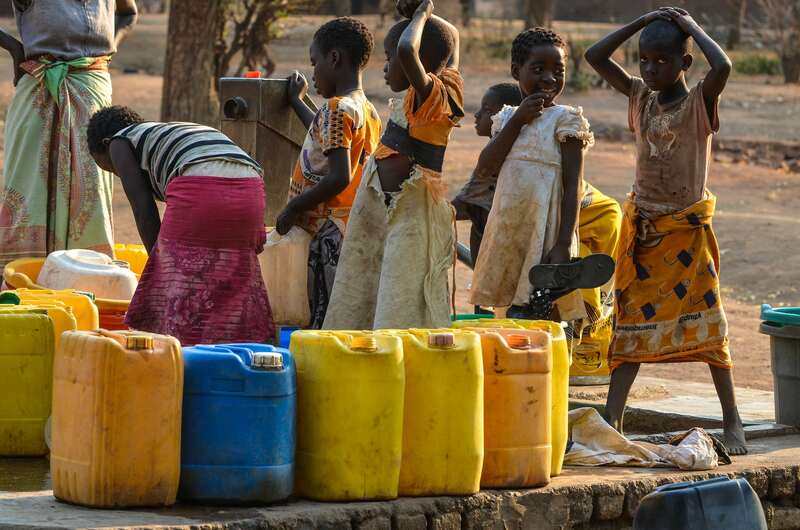 Across the border in Malawi, nearly half the country’s girls are married by the age of 18 and nearly one in 10 by age 15, leaving Malawi ranked by Unicef as the 11th worst country in the world for child marriage. The legal age of marriage was raised to 18 in 2015 but there have been no reports of any prosecutions. For Lucy Anusa, it was the drought of 2016 that tipped her over the edge. She was 14, the youngest of three sisters living with their farmer parents in Namalaka, near the southern end of Lake Malawi, when the drought laid waste to their crops. Her parents were unhappy, but she was too stubborn. Only when she became pregnant and the husband turned her out of their home did she start to regret her decision. The government’s own report on the 2015 floods listed child marriage as one of the side effects, a view shared by the anti-child marriage campaign group Girls Not Brides. “If we don’t act now we risk another generation of childhoods being lost,” says its executive director Lakshmi Sundaram. Five hundred miles away, in the courtyard of a house on the edge of Moma, Majuma Julio is stirring a pot of maize, preparing lunch for husband, Juma Momade, who is holding their year-old daughter, Fatima, on his lap. The couple married two years ago when Majuma was 15 and Juma was 19. It’s not what she wanted, Majuma says. But she was staying with an uncle, a farmer, who was paying to support her through school. The weather changed and there was no more money; marriage was the only solution. Majuma knew that marriage would mean children. But Juma had promised to support her. “Juma and the imam came to my uncle’s house, they did the ceremony and we were married. I am all right now. I feel better than when I was in my uncle’s house because my husband treats me well, I keep going to school, there’s no problem. The young girls taken out of school to marry early can attest to that.